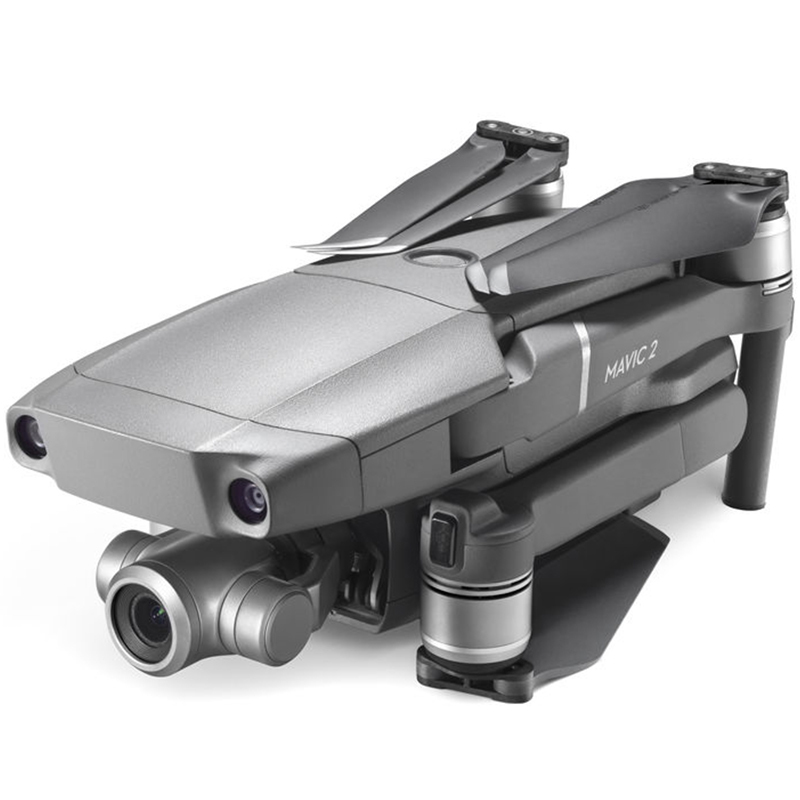 Powered by a 1/2.3-inch 12-megapixel sensor with up to 4x zoom, including a 2x optical zoom (24–48 mm), 4 the DJI Mavic 2 Zoom is all about dynamic perspectives. Capture everything from wide angle to mid-range shots for even more creative options. 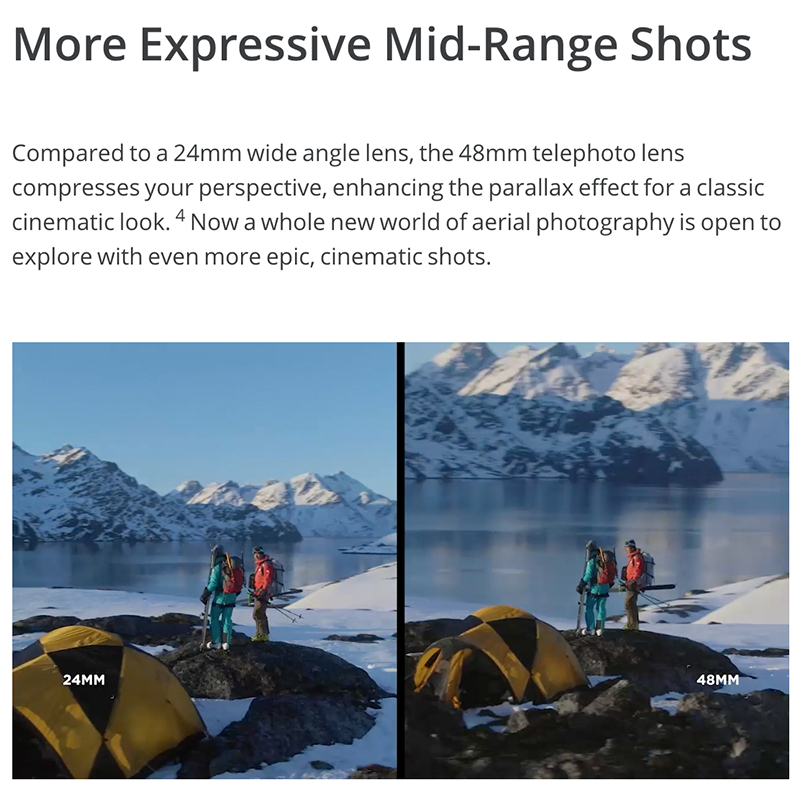 When shooting Full HD video, 4x lossless zoom (including 2x optical zoom) gives you a closer view of faraway subjects, making unique scenes more accessible to capture at a distance. 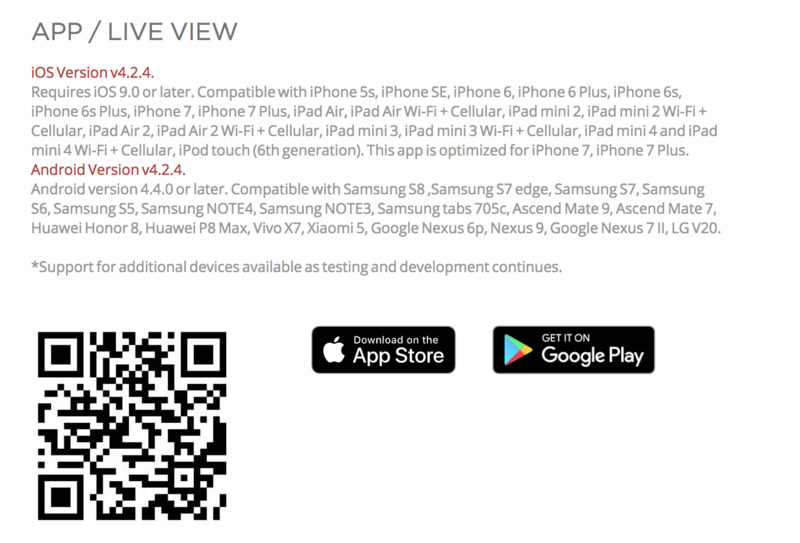 This option also helps you maintain a safer distance from buildings, vehicles, animals, and people. 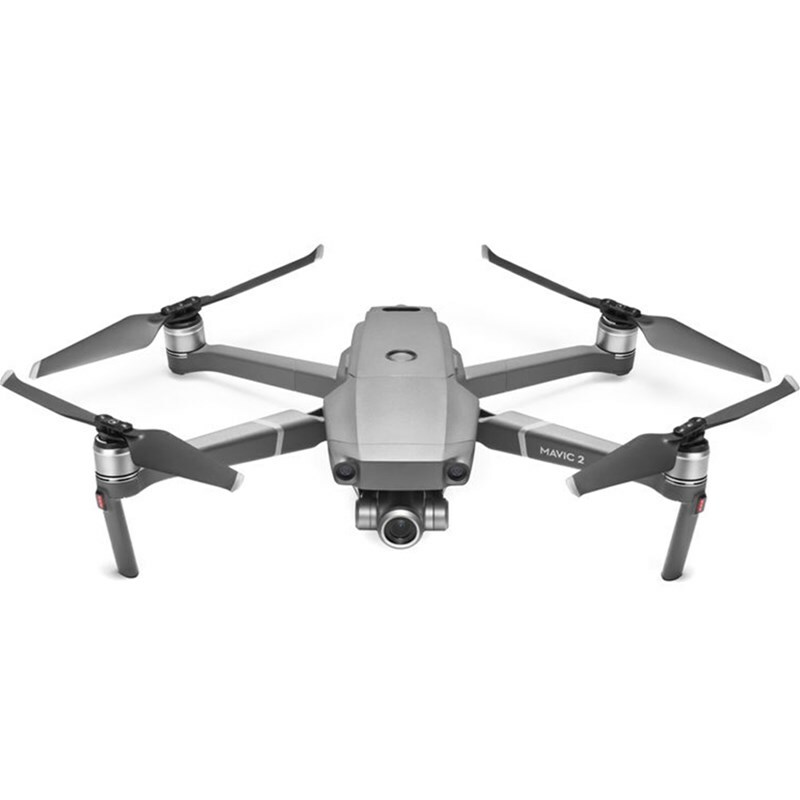 Dolly Zoom is a new QuickShot for the Mavic 2 Zoom, offering an otherworldly perspective in a fully-integrated drone. Dolly Zoom automatically adjusts focus when flying, adding an intense, warping visual effect to your video. 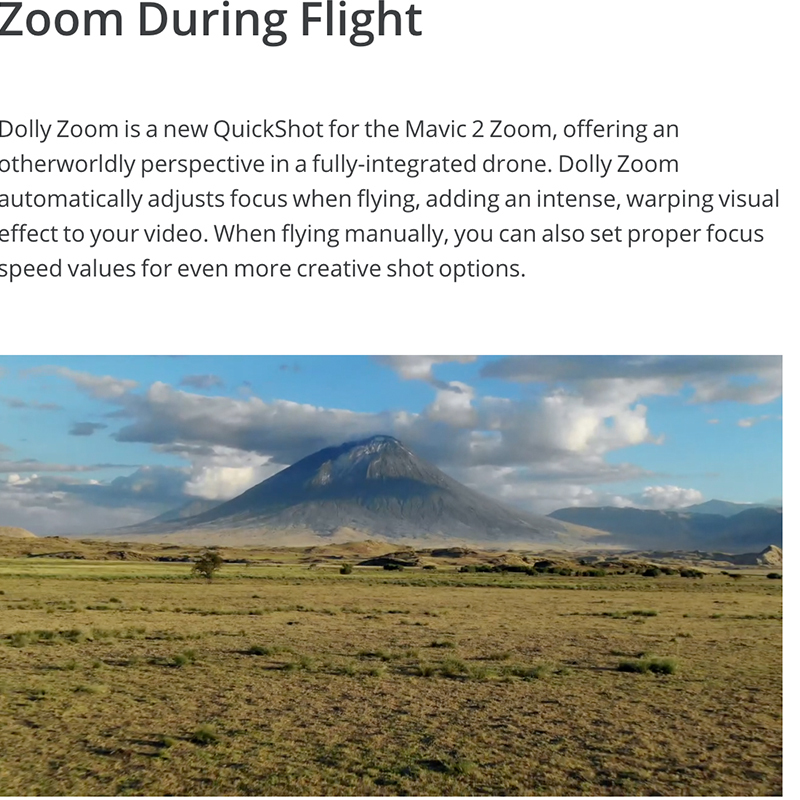 When flying manually, you can also set proper focus speed values for even more creative shot options. 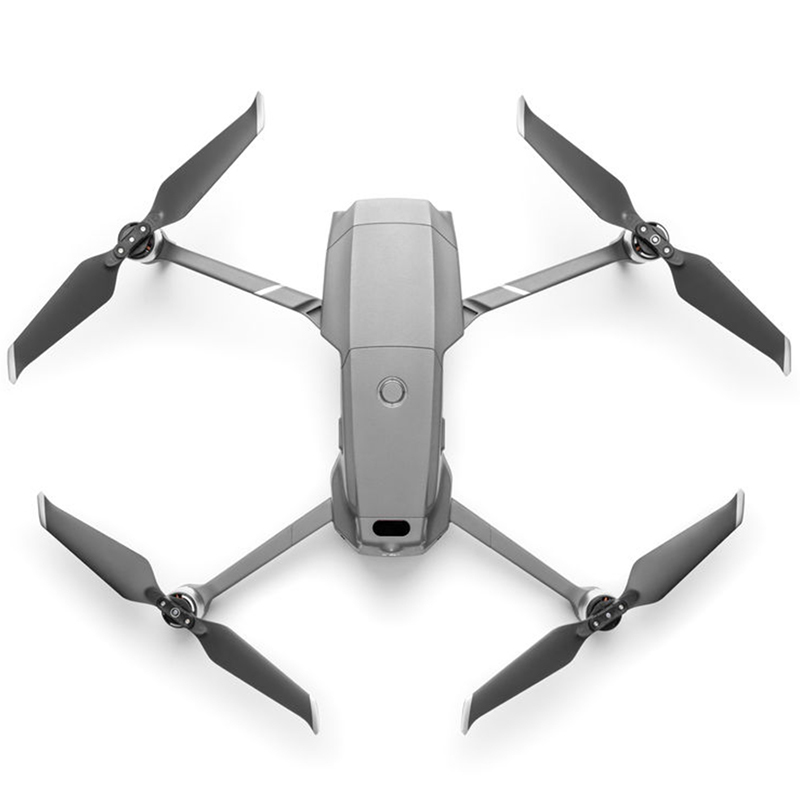 It utilizes a low-drag aerodynamic body design for achieving speeds up to 47.7 mph, a four-cell LiPo battery for up to 31 minutes of flight time, and low-noise propellers for filming without being distracting. This power and performance are coupled with a variety of shooting modes and capabilities for cinematic results.